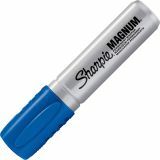 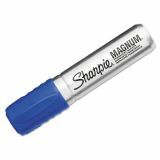 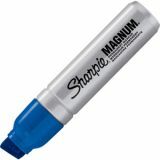 Sharpie Magnum Oversized Permanent Marker, Chisel Tip, Blue - For big marking jobs, use the Sharpie Magnum Permanent Marker. The 5/8 wool nib produces broad, bold strokes and marks on wet and oily surfaces. 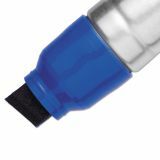 Xylene-free, nontoxic ink is highly water-resistant and dries quickly. 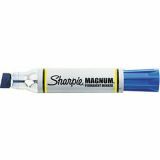 Durable aluminum barrel and tip stand up to heavy use."